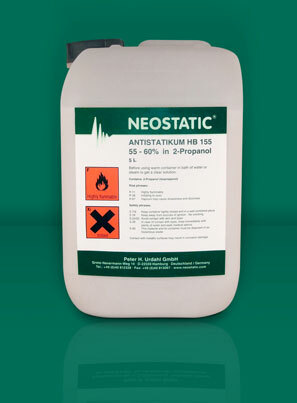 Thank you for your interest in our antistatic agent NEOSTATIC. Below we give an overview of all relevant properties of our antistatic products. An overview of our antistatic agents can be found under the heading Products. Application is carried out by spraying, immersion or roller application with a 1% NEOSTATIC solution in distilled water or in a mixture of distilled water/alcohol. A higher alcohol proportion (max. 20%) produces quicker drying. NEOSTATIC method during or after the foaming process. The material is antistatically treated before the last foaming process. The surfaces of the EPS beads are therefore antistatic also on the inside of the finished EPS moulding parts. Contact with metallic surfaces may result in corrosion damage. 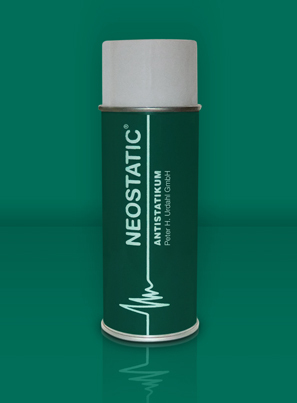 Our NEOSTATIC antistatics protect plastic surfaces against electrostatic charging. This consequently reduces the undesirable effects of charging, such as attraction of dust, sparking or the “adhesion” of films, plastic parts and textiles. Our laboratory-tested quality with analysis certificate and our production in accordance with the applicable EU directives allow you to incorporate NEOSTATIC HB 155 as an additive in your future production processes. NEOSTATIC HB 155 is listed in the Commission Regulation (EU) No 10/2011 and is therefore approved as an additive for foodstuffs packaging. NEOSTATIC HB 155 has been registered in accordance with European Ordinance No. 1907/2006 on the Registration, Evaluation, Authorisation and Restriction of Chemical substances (REACH).